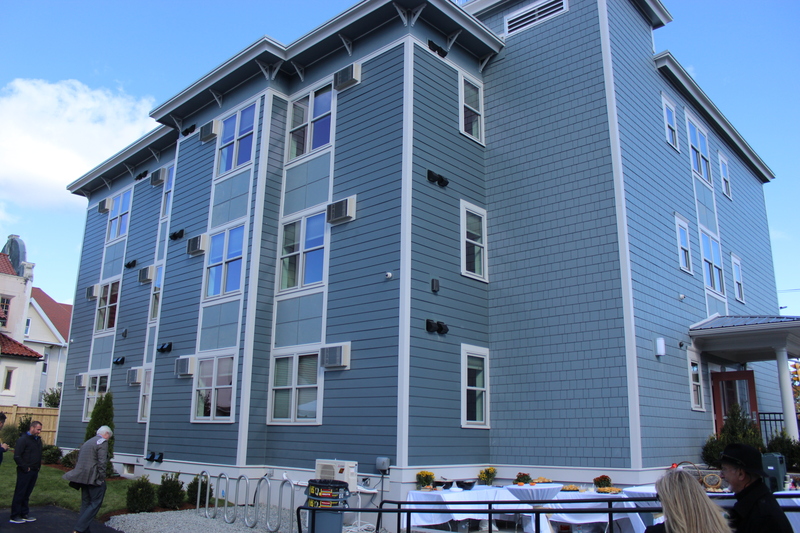 In late February, CEDAC attended the Baker-Polito Administration’s announcement of funding awards for nine projects that will support the creation of over 600 new rental units across the state, including nearly 400 units of affordable housing. The administration has invested over $45 million directly and allocated over $22 million in state and federal low-income housing tax credits for these projects. The announcement took place at the former Worcester Courthouse, a historic site that was also awarded state funding and will be preserved and redeveloped by Trinity Financial into 117 new, mixed-income housing units. Downing Square Broadway Initiative in Arlington, sponsored by Housing Corporation of Arlington (HCA). This project will develop a total of 48 units of affordable multifamily housing – 10 of which will be designated for extremely low-income (ELI) households – as well as ground floor commercial space to house an existing food pantry serving the local community. CEDAC has committed $970,000 in acquisition financing and $500,000 in predevelopment financing to its non-profit community development partner, HCA, including the use of capital provided by the Home Funders collaborative to support affordable units for ELI families. Cote Village 4% LIHTC in the Mattapan neighborhood of Boston, sponsored by Caribbean Integration Community Development. This project will be developed in two phases: a 24-unit 9% low-income housing tax credit (LIHTC) component and a 52-unit 4% LIHTC component. The project is a joint venture between two non-profit developers, CICD and the Planning Office of Urban Affairs of the Boston Archdiocese. The 24-unit component consists of four 4-story townhouse buildings with parking and a play area, and the 52-unit component consists of a 4-story, multifamily building with 1200 square feet of commercial space. CEDAC has committed $400,000 in predevelopment financing to CICD. Library Commons in Holyoke, sponsored by Way Finders, Inc. This project will create a total of 74 units, 55 of which will be affordable family rentals, and 10 of which will be designated for extremely low-income households. CEDAC has committed $625,000 in acquisition financing and $900,000 in predevelopment financing. 571 Revere in Revere, sponsored by The Neighborhood Developers (TND). This project will create 51 units of affordable and workforce housing. CEDAC has committed $400,000 in predevelopment financing. 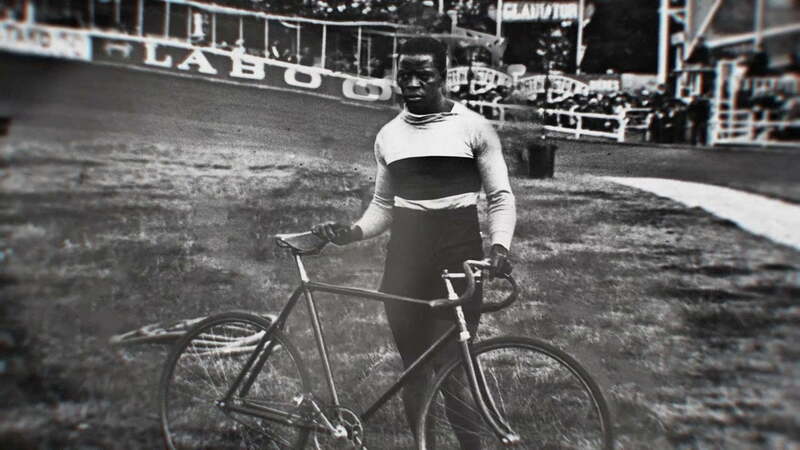 In honor of Black History Month, Patrick Lee of Trinity Financial also announced that the renovated Worcester Courthouse will include a public museum dedicated to the life and accomplishments of legendary African American bicycle racer and Worcester resident Major Taylor (pictured below). 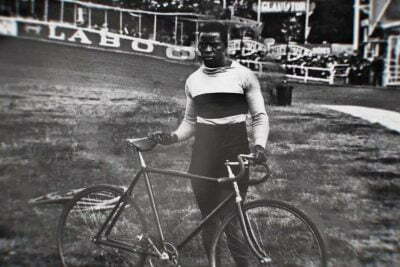 Born in 1878, Taylor was a professional racer with seven world records to his name and considered the fastest cyclist in the world at the time. Karen Donovan, Major Taylor’s great granddaughter, attended the announcement and expressed her family’s gratitude for this tribute. Lieutenant Governor Karyn Polito, Secretary of Housing and Economic Development Mike Kennealy, Undersecretary of Housing and Community Development Janelle Chan, Worcester City Manager Edward M. Augustus Jr., State Senator Harriette Chandler, State Representative Mary Keefe, and the other local leaders and developers participated in this event. 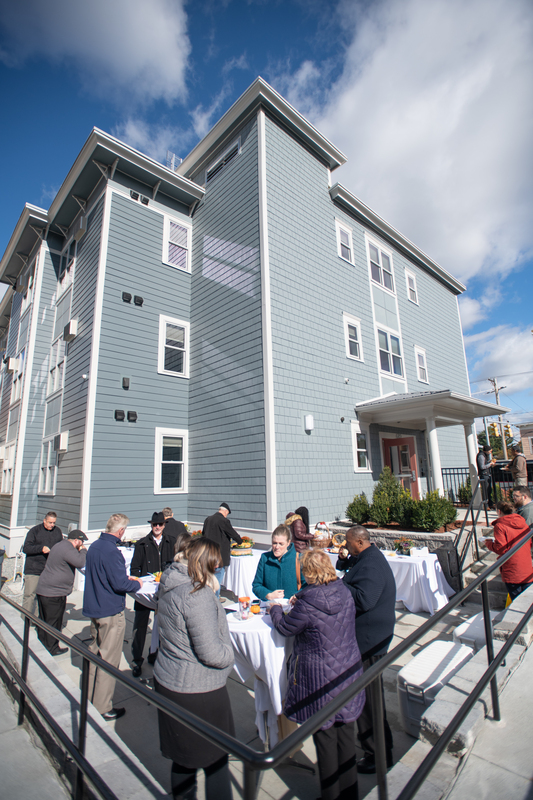 CEDAC is pleased to support the efforts of its non-profit community partners and are grateful for the Baker-Polito Administration’s commitment to increasing the production and preservation of affordable housing. To learn more about the funding announcements, read the official press release. Mel King, legendary community activist and former state representative, invoked this phrase as he concluded his remarks at our 40th anniversary celebration on March 14th. And Mel did not just speak these words, but rather inspired the audience to chant them together with him. This phrase sums up his philosophy on community development and the commitment of residents to organize themselves to build strong and resilient communities. CEDAC honored King for his foundational work in the 1970s to convene a series of weekly working group sessions of community activists and planners – the so-called Wednesday Morning Breakfast Club – that led to CEDAC’s creation. But it was clear from our large gathering of organizations and individuals from across the state’s community development sector that everyone was celebrating Mel for his vision and leadership in the movement as a whole. Mel provided inspiration for this community development movement in Massachusetts, and he played an instrumental role as an elected official in helping to create a state infrastructure to support community development, including sponsoring the legislation that established CEDAC. We held the 40th anniversary event at MIT’s Samberg Conference Center, a fitting venue, since it served as the location for those weekly sessions where the idea for a public/private agency that provides technical expertise to non-profit community development organizations was first discussed. At the time, Mel was teaching at MIT’s Department of Urban Planning and Studies and leading the Community Fellows Program there. The Massachusetts system now serves as a national model of community development, and it was truly a wonderful moment to have the chance to thank and recognize Mel. We were pleased to have Governor Charlie Baker share his support as he offered congratulatory remarks by video. In addition to hearing from Mel, we presented lightning talks featuring representatives from the state’s community development sector on CEDAC’s three key program areas: affordable housing preservation; supportive housing; and early education facility development, through our affiliate, the Children’s Investment Fund. These brief talks covered the evolution and growth of these programs over the 40-year history, and identified some future challenges and opportunities. Participants in the program included former CEDAC staff members Vince O’Donnell, Charleen Regan, and Mav Pardee; current CEDAC staff members Bill Brauner, Sara Barcan, and Theresa Jordan; and non-profit community partners Leslie Reid of Madison Park Development Corporation, Lisette Le of Vietnamese American Initiative for Development (VietAID), and Gail Fortes of YWCA Southeastern Massachusetts. In the 40 years since CEDAC was created, the organization has committed over $402 million in early stage project financing, and has helped to fund the creation or preservation of nearly 50,000 affordable housing units across the Commonwealth. Additionally, CEDAC manages a number of supportive housing bond programs on behalf of the state’s Department of Housing and Community Development (DHCD), with commitments of more than $490 million over the past thirty years. These bond programs include the Housing Innovations Fund (HIF), the Facilities Consolidation Fund (FCF), and the Community Based Housing (CBH) program. You can read more about our accomplishments in the March 11th issue of Banker and Tradesman and hear more at the OA on Air podcast. You can also learn more about our past, present and future in the 2018 CEDAC Annual Report, featuring an interactive 40-year timeline. 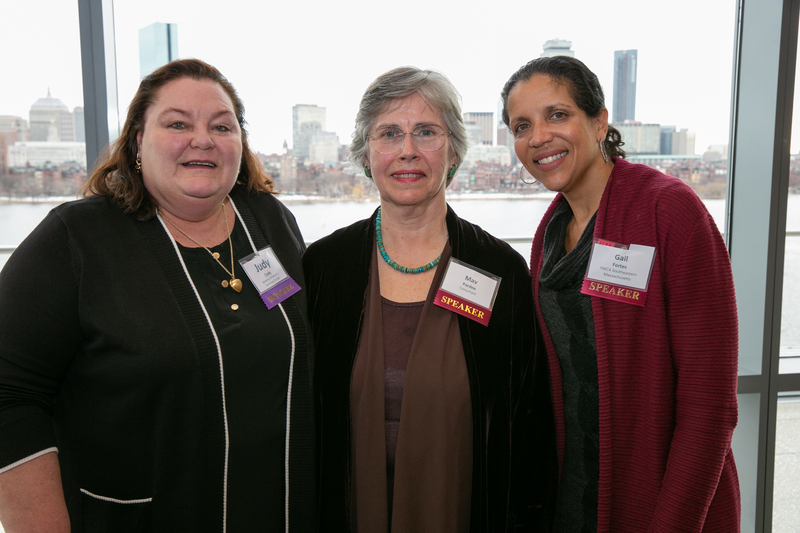 At the same event, the Children’s Investment Fund, an affiliate of CEDAC, presented Judy Cody, executive director of the Beverly Children’s Learning Center (BCLC), with the Mav Pardee Award for Building Quality. The award, which recognizes organizations or individuals working to address the need for physical environments that support high-quality early education, is named after Pardee, who was the Fund’s former program manager. Cody oversaw BCLC’s expansion to a new 16,000 square foot facility that provides safe and affordable early education and care for nearly 160 children in the North Shore region. Pictured above: Judy Cody with Mav Pardee, the Fund’s former program manager, and Gail Fortes, Executive Director of YWCA Southeastern Massachusetts. BCLC was one of the first child care facilities to open that utilized grant funding from the Early Education and Out of School Time (EEOST) Capital Fund, and that is because of the tenacity and dedication that Judy Cody demonstrates as executive director. Since it was established in 1990, Children’s Investment Fund has committed $55 million in project financing and state bond resources, and supported the creation or improvement of more than 30,000 child care slots. EEOST is administered by the Massachusetts Department of Early Education and Care in partnership with CEDAC and the Children’s Investment Fund, and it offers child care providers capital resources to develop high-quality early learning facilities. Thank you to all of our partners, supporters, and current and former board and staff members (including my executive director predecessors, Carl Sussman and Mike Gondek) who joined us as we celebrated 40 years of strengthening communities in Massachusetts. And thanks again to Mel King for helping to build the foundation for community development in Boston and neighborhoods across the state. Thanks to David Fox, Photographer for capturing this event. See more photos here. CEDAC is proud to celebrate 40 years of strengthening communities across the Commonwealth. We are thrilled to announce that we will honor former State Representative Mel King as we commemorate this anniversary this month. As a Massachusetts State Representative, Mel King sponsored legislation in 1978 which created CEDAC with a mission to support community-based development organizations. At the same event, CEDAC’s affiliate Children’s Investment Fund will also present Judy Cody, executive director of the Beverly Children’s Learning Center (BCLC), with the Mav Pardee Award for Building Quality. The award recognizes organizations or individuals working to address the need for physical environments that support high-quality early education. Click to read the press release announcing CEDAC’s 40th anniversary celebration. We are proud to present the final report from our first-ever project survey using the CEDAC Supportive Housing Data Collection (SHDC) Survey Tool. Last year, CEDAC designed and administered this survey in order to understand tenant outcomes in permanent supportive housing (PSH) projects, specifically projects funded through the Department of Housing and Community Development’s (DHCD) Supportive Housing for Vulnerable Populations rounds. With an advisory committee that included staff from DHCD, Mass Rehab Commission and the Department of Public Health (DPH), CEDAC hired Corporation for Supportive Housing (CSH), a national supportive housing consultant, to assist with survey design, data collection and final report. The final report offers insight into the impact permanent supportive housing has on housing stability, employment and income, access to community health and social services, with positive outcomes in projects with a wide variety of staffing ratios, housing stabilization strategies, and partnership models. Read the final report on the survey tool to learn more, and stay tuned in future years as we plan to administer this survey again as our portfolio of PSH projects grows. At INSITES this week, we complete our series of spotlights on previous directors of the Children’s Investment Fund (“the Fund”). Today, Mav Pardee, the organization’s third director, recounts the Fund’s long history of working with non-profit providers to create high-quality learning environments for the most vulnerable children in Massachusetts. 1. Describe your experience as the director for Children’s Investment Fund? I became director of Children’s Investment Fund (“the Fund”) in 2006 and led a small and talented team until late 2015. During my tenure with the Fund, we refined and expanded the Building Stronger Centers Training Institute (BSC) to introduce the leadership in early childhood education (ECE) and out-of-school time (OST) programs to the facility development process. We also provided training on developing multi-sensory outdoor play spaces with an emphasis on nature and natural elements. In 2011, we sponsored research on existing conditions in non-profit ECE and OST sites across Massachusetts that served children on public subsidies. The results were sobering, even shocking: 22 percent of centers had poor indoor air quality, 20 percent had at least one classroom without windows, nearly 70 percent lacked classroom handwashing sinks, and 34 percent had inadequate heating and cooling. Those and other findings were the basis of a campaign by the Fund, the United Way of Mass Bay and the Merrimack Valley, Citizens’ Housing and Planning Association, some key legislators, and providers statewide to secure public bond financing for facilities improvements. In 2013, the Massachusetts Legislature authorized the creation of the Early Education and Out-of-School Time (EEOST) Capital Fund, which is jointly overseen by the Department of Early Education and Care, CEDAC, and the Fund, and which to date, has invested $19.2 million in 25 projects that serve over 2,400 children. Governor Baker recently reauthorized the funding for another five years. 2. How did you become involved with child care facilities development? My initial involvement with children’s facilities was as a young parent developing a toddler program for my first child. That led to my co-founding the Child Care Resource Center in Cambridge, where in addition to helping parents find programs, we worked with community groups to set up centers in all the used-to-be usual places: church basements, office buildings, former schools, etc. Some were wonderful places for childhood and others were merely adequate. In 1986, I helped develop the Transportation Children’s Center in the State Transportation Building, which led to involvement with two publications on centers in state office buildings: Architectural Prototype Document: A Study for the Development of Day Care Centers in State Facilities (1987) by Citydesign Collaborative and Anita Olds & Associates, and Child Care by Design: a Handbook for the Planning and Design of Child Care Centers in Massachusetts (1993) by Archetype Architecture & the Division of Capital Planning & Operations. Over time, I worked on another 40 or so renovation or construction projects around Massachusetts, Rhode Island, and New York. Eventually I consulted on projects for the Fund in its early days, first with Dan Violi, and later with Viki Bok. They taught me a great deal about the formal facility development process. 3. How have you seen the sector evolve? It’s been far too slow, but very gradually our society has begun to understand that most children spend significant time in ECE and OST programs and that those programs play a crucial, and often underappreciated role, in their healthy development and life-long prospects for good health, school success, and well-being. In 1995, the “Relations Between Preschool Children’s Child-Care Experiences and Concurrent Development: The Cost, Quality, and Outcomes Study” reported that only 14 percent of child care centers nationwide provided a level of quality that supported healthy development. More than 10 percent of centers were described as poor quality, and 74 percent were labeled mediocre. That report led to a number of much-needed quality improvement efforts by federal and state policymakers. Beginning in 2004, research from the National Council on the Developing Child emphasized the critical importance of the first five years of life on brain development, resilience, executive function, and other key factors in healthy development. The terminology changed—from “child care,” a support to help parents enter the workforce, to “early childhood education,” which emphasized child development and learning. There were efforts to raise teacher qualifications (but little attention to salaries), an emphasis on program accreditation, and learning standards based on children’s ages and development with periodic funding increases to support those efforts. And eventually, thanks to the efforts of the Fund, the provider community, some enlightened policymakers and others, we’ve seen the “quality agenda” expand to include facilities as a key component of high quality ECE and OST services for children in Massachusetts. 4. What do you think is next for child care facilities development? This sector is about relationships – educators with children and families, programs with each other, the communities they serve, and with funders and policymakers. Because of its role, the Fund has relationships with all those groups as well, but also with architects, licensers, and the professionals who help programs complete successful facility projects. Because of its long history working with seriously under-capitalized programs, the Fund knows that access to funding continues to be a critical barrier to facility improvement. EEOST has been an enormous benefit, but the demand for project financing continues to outstrip available resources. The Fund has long sought access to more affordable loan capital, and recently CEDAC, Theresa Jordan, and the Fund secured certification as a Community Development Financial Institution (CDFI). This certification allows the Fund to apply for federal funding as a source of low-cost lending capital. It’s great news and will lead to further development of suitable learning environments for the most vulnerable children in Massachusetts. One was the reaction of the 4-year-old class in a center that moved from the basement of a housing development where they had been underground in cramped, shabby rooms without windows. The center moved from that site into a beautiful new building with bright, well-equipped classrooms. Everyone was excited about the new space, but for weeks after the move, the teachers saw children gravitate to the big windows in their new classroom where they would stand and notice the weather, point out activities in the neighborhood, and envision a bigger world. This work matters a great deal. All children deserve physical learning environments that stimulate their imaginations, give them room to move, let them see the larger world, and support the development of positive self-images and self-esteem. The Facilities Consolidation Fund (FCF) is an important capital program that provides funding to build supportive housing for persons with chronic mental illness or developmental disabilities. This program is managed through interagency collaboration among the Departments of Housing and Community Development (DHCD), Mental Health (DMH), Developmental Services (DDS), and CEDAC. The FCF program celebrates its 25th anniversary in 2018, and has served as an effective resource in creating community residential options for persons with disabilities. Over the past 25 years, CEDAC and its state partners have helped to produce 2,604 units of supportive housing with FCF capital. We’ve loaned more than $150 million for the development of 437 projects that include FCF units. FCF was created in 1993 in response to strong advocacy by disability rights organizations who demanded that the state offer community-based options for DMH and DDS clients rather than the large state institutions that housed heavy concentrations of people with chronic disabilities and were often disconnected from the surrounding community. The program creates two distinct models of supportive housing: integrated housing, in which a small number of apartments are included in larger affordable housing developments; and group homes, designed as single-family homes for four or five DDS or DMH clients, who receive assistance from a service provider. Earlier this year, INSITES offered a primer on CEDAC’s work funding group homes. CEDAC works with supportive housing providers developing FCF units throughout the Commonwealth of Massachusetts in urban, suburban and rural settings. Both non-profit service providers and affordable housing developers are key participants in the effort to provide safe, community-based housing for men and women in need of both homes and services. It is gratifying to know that in the 25 years we’ve managed this fund, thousands of residents have benefitted from it. A good example of how FCF improves lives is a group home developed by MAB Community Services, the nation’s oldest social service agency providing services to blind or visually impaired individuals. MAB is currently working on the development of community-based housing for individuals with acquired brain injuries (ABI). In a landmark 2008 class action lawsuit, Hutchinson vs Patrick, the state reached a settlement with a group of plaintiffs, led by Cathy Hutchinson, which established the right of individuals with ABI to live in community-based settings. According to the settlement, of the more than 8,000 individuals with ABI living in nursing homes or rehabilitation facilities across the state, at least 2,000 would be able and prefer to reside in community-based settings, provided they received the appropriate aids and support. CEDAC began its work with MAB in 2016 by providing technical assistance for the development of new housing in Canton for individuals with ABI. This year, DHCD and CEDAC committed more than half a million dollars in FCF financing to MAB Community Services. The resident population served by MAB in Canton requires highly specialized supportive housing given their medical needs, and FCF capital funds and CEDAC’s technical assistance to MAB were key elements in the successful development of this . At its annual meeting in October, MAB honored CEDAC for our work financing supportive housing for individuals with disabilities. At that event, we were honored to meet a new resident of the Canton home, a young man with ABI who had been living in an institution. His mother reported that his health has improved considerably since he moved out of the nursing home and into the house in Canton. The lead plaintiff in the lawsuit, Cathy Hutchinson, was also in attendance and provided inspiration to attendees. CEDAC remains dedicated to expanding affordable housing opportunities across the state, and we look forward to continuing to collaborate with our state partners, affordable housing developers and service providers to support vulnerable populations through FCF. On Veteran’s Day in 2013 and throughout that year, CEDAC highlighted the funding commitments we had recently made to a number of organizations helping homeless veterans, including the support we gave to Father Bill’s & MainSpring to develop the Montello Welcome Home project. The Brockton-based organization has worked hard to help end homelessness among veterans in the area, and it was our pleasure to provide capital funding through the Housing Innovations Fund to this supportive housing project so that the area’s veterans would have both the housing and services they need. 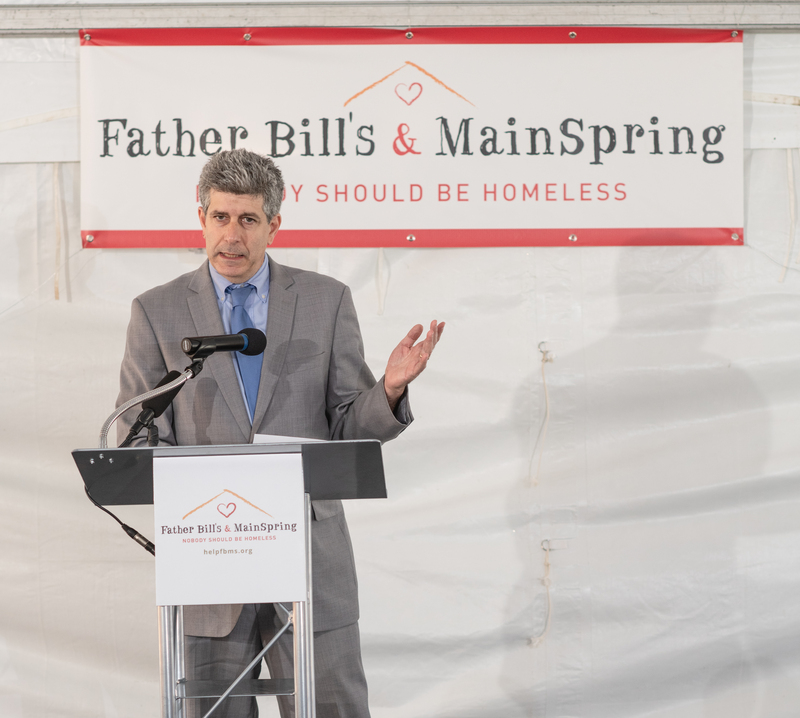 So we were gratified to join Father Bill’s & MainSpring just a few weeks ago to celebrate the ribbon-cutting for the second phase of this project, Montello Welcome Home Again. In honor of Veteran’s Day, we wanted to share that celebration with you, too. The $5 million development brings 23 new units of permanent supportive housing to the South Shore, 12 of which are set aside for veterans. 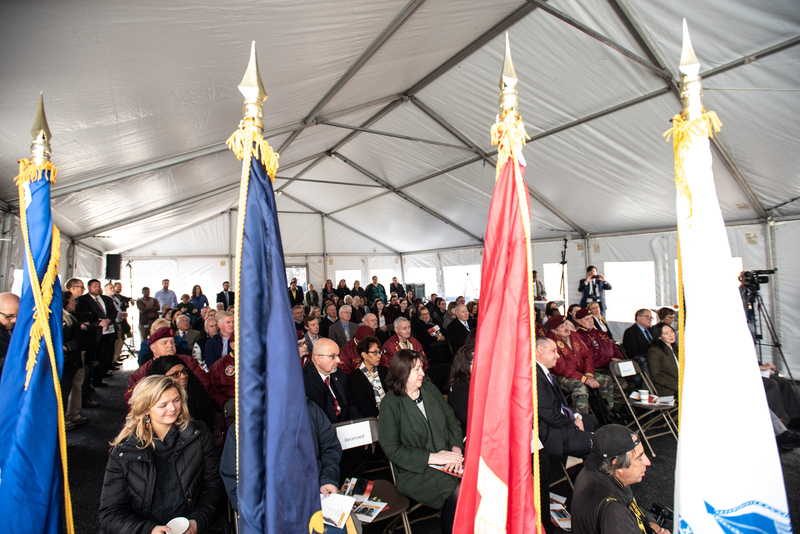 CEDAC is honored to work with organizations like Father Bill’s & MainSpring, Soldier On, the New England Home and Center for Veterans, and others who continue to support and expand housing opportunities for our nation’s veterans. Montello Welcome Home Again event. At INSITES this week, we introduce the first in a series of spotlights on previous directors of the Children’s Investment Fund (“the Fund”). Today, Dan Violi shares his experiences as the original program manager and how he has seen the Fund evolve as a key resource for the non-profit early education and care community. I joined CEDAC in 1989, at which time I managed a portfolio of affordable housing projects and offered our clients both predevelopment financing and technical assistance in the early stages of these projects. I helped non-profit agencies that had little to no development experience and needed technical assistance and financial support to move their projects forward. Two years later, Carl Sussman, the executive director of CEDAC at the time, asked me to take on the role of the Children’s Investment Fund (“the Fund”) manager. The attributes and skills I had gained in the housing field directly transferred to the child care provider community. In this new role, I came to understand the importance of well-designed facilities and the unseen design elements that make a childcare space successful. Thoughtful design had many positive effects on the center – greater staff retention, child responsiveness, and family satisfaction. I worked at the Fund when it first began offering training sessions to non-profit providers, who benefitted greatly from having the time and resources to understand what makes a project successful. Carl helped push the need for these trainings, and Mav Pardee – who later became the Fund director – was invaluable in educating the two of us. What are some notable child care facilities projects you were involved with? What made them a success? Two early projects come to mind: SMILE Pre-school and N.I.C.E Daycare. In both cases, the non-profit providers acquired vacant buildings to renovate and then relocate their facilities. With N.I.C.E. Daycare, we helped convince the City of Boston to sell the property in Roxbury’s Egleston Square. Both of these projects brought energy and credibility to the Fund and allowed us to develop really great centers that addressed the needs of the families and staff. These projects shared some common design concepts that made them high-quality early education facilities, including separate reception areas and staff rooms. They also contained appropriately sized resource rooms and bathrooms within the classrooms. All of these elements help to increase educational time and allowed the non-profit providers to best utilize their resources. Overall, I have seen our non-profit clients mature and grow better in-house capacity to tackle their facilities projects. I have also watched the Fund establish a very strong reputation so that when non-profits are approaching the state, a bank, or other funders, lenders take it as a positive endorsement when they hear that the Fund is involved in the project. This credibility is in large part due to the foundations that contributed to the Fund and helped the organization establish a strong track record and reputation for providing capital needs solutions for early education and child care, particularly for low-income households. These funders include United Way of Massachusetts Bay and Merrimack Valley, the Ford Foundation, the Hyams Foundation, and the Barr Foundation. These contributions also encouraged support from other private investors. In 2013, Massachusetts passed a bond bill for childcare through the Early Education and Out of School Time (EEOST) Capital Fund. To get this funding established in the state budget was a huge accomplishment and something that the child care community had advocated for years. Another milestone occurred earlier this year when the Fund became a certified CDFI. This not only reinforces the organization’s reputation but also recognizes the significance of investing in child care and early education facilities. These achievements speak to the fact that resources for capital to support these facilities have come a long way since the Fund was established. Back when I worked at the Fund, it was always difficult for providers to find sites to relocate their centers. Many of these providers lacked the capital to acquire property, and it was hard to absorb these acquisition costs. Therefore, it would be wonderful if there were more participation and investment from towns and cities to prioritize options for site acquisition, specifically if child care facilities could be recipients of surplus public land and buildings at a reduced price. The social payback of investing in high-quality early education and child care facilities in the community is worth whatever discount the cities or towns could offer. I am pleased to see that the sector has continued to push for public policy changes, as it’s important to secure adequate funding for vouchers and direct subsidies to child care providers serving low-income families. It’s also important that providers have the resources to retain their staff by offering reasonable wages, which incentivizes staff to continuing investing in the children they serve. The Department of Early Education and Care (EEC), with much support from House Speaker Robert DeLeo who led an Early Education and Care Business Advisory Group in 2017, issued a report that discussed stabilizing the early childhood workforce through a rate increase to providers with a goal of working toward a higher market rate over the next few years. The Advisory Group focused on a plan to strengthen the field through annual rate increases and to create professional development opportunities for teachers. The rate increases in FY18/FY19 – the largest increases in the past ten years – allowed providers to increase teacher salaries, but they are still considerably lower than the salaries of pre-school teachers in public schools. Earlier this year, Governor Charlie Baker signed a $41.8 billion state budget for FY 2019 that allocated $645 million for the EEC. This marked the first time in a decade that the budget has surpassed the pre-recession high point of state funding for EEC. It is promising to observe this level of commitment to the early education and care sector. Why are child care and early education worthy investments? As a parent of two children who are now adults, I witnessed firsthand the value and power of strong early child care and education, both for intellectual and social development. I believe that these facilities are the foundation for successful adults. I’ve been impressed and amazed at the growth and accomplishments of the Fund since I left. I wish them continued success. At INSITES this week, we share the great news that Children’s Investment Fund, an affiliate of CEDAC, has received $300,000 from the U.S. Department of the Treasury’s Community Development Financial Institutions Fund (CDFI Fund). This award will allow us to continue financing capital improvements for early education facilities and strengthening the child care sector.